You often hear that building websites on aged domains results in better rankings in Google. I believe this is the case, however — it’s the aged part that confuses many webmaster. When does a website’s age start? Is it when it was first registered, or when it received its first link prompting Google to visit and index the site for the first time? Fortunately, we have a video from Matt Cutts, explaining how Google sees domain age, and how it affects your rankings. In the video, we learn that age definitely is a ranking factor and other good information. If you are planning on building a website on an expired domain, the information in this article will help you make a decision on what type to get. So the first thing you need to know is that whois data is not generally available, even if you are a registrant. Whois data can vary from country-code TLD (for example, .co.jp for Japan, .fi for Finland, .in for India, and in general, sometimes that whois data is on websites and that sort of of stuff. So, what’s much easier is to say, “When did we first see a website.”, and “When did we first crawl it.” We did actually file a patent on using historical data in the search results, and that issued back in 2005, so there are a lot of ways that you can think about the age of a domain. For example, “when did you first see a link to a domain, as opposed to when did you first crawl it?”. And there are a lot of things you can look at like, “How stale is the data?“, and stuff like that. A good way to think about it is often the vast majority of the time, we’ll have coverage for when we first crawled a domain, or when we first saw a link to a domain, and that’s going to be a lot more useful than perhaps whois data that you’re not going to get for every single domain. 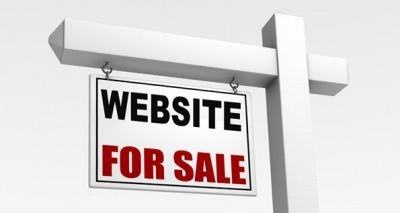 In general, how important is it for website authority? My answer is to not worry that much, the difference between a domain that’s six months old vs. one year old is really not that big at all. So, as long as you’ve been around for a couple months, you should be able to make sure that you are able to show up in the search engine results. So, a lot of people are talking about, “I want to get a pre-aged domains, or I want to get domains from 1994” or something like that, and that’s not typically something you would need to worry about. I would say, it’s often good to go ahead and buy a website and put up a place-holder page, to tell people what’s coming, and then just go ahead and develop the website. By the time you get your website live, often that’s 2 or 3 months down the line already. There is so much wealth of data available here. I’ve bolded areas in the text of Matt’s remarks that I think are significant. I’ll comment on each of these pieces of information below. The first thing that really stood out is his comment about a website’s age, and the difference between a website that is six months vs one year old. He tried to downplay the age difference, however — there IS a difference! You can expect a website that is a year old to rank better than a website that is six months old, strictly based on age alone. He says it’s not that much, but honestly — anything that helps a site to rank is notable, because nowadays SEOs need all the help they can get. The next issue of importance is when the age actually begins. Matt’s comment was that it starts not when a domain was first registered, but when Google first saw content on the domain. I believe this is the case. 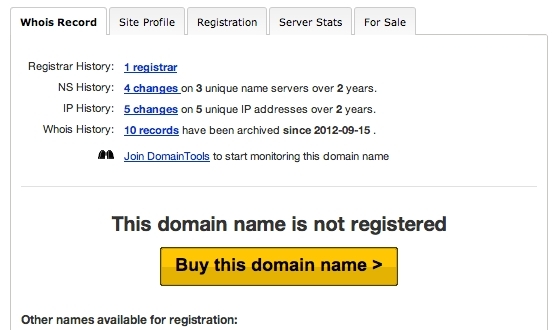 I also think that many webmasters are under the impression that this aging starts when a domain was purchased. That would not be the case unless Google immediately saw a developed website on a domain shortly after it was purchased. In other words, if you are building a website on a domain that was purchased in 2000, yet only received it’s content in 2013 — then you’re dealing with a website that is approximately 2 years old in Google’s eyes. It only makes sense that this would be the case. Why would Google even want to give preference for a domain that was registered, but didn’t even have a website on it for 10+ years? It is logical that Google would only want to give credit for aged content, not necessarily an arbitrary thing like how long ago was it that the domain was actually registered. I often recommend to people to get their content up as quickly as possible (even if it isn’t perfect), in order to start the aging process on their content. Above, we have Matt recommending that a place-holder page be put up, to tell others that the content will be coming soon. He goes on to say that this starts the aging process of the page, and that later on when the site receives its actual content, that it already aged for months. I would add that the content should reflect the future content of the page, in that you should get some keywords put there, the same ones you will eventually want to rank for. Furthermore, I think that Google analyzes the content of a page and assigns certain topic tags to it. “This page is about dentistry. That page is about politics. Over here is an article about fishing.” When content ages, it ages with the page’s theme. If that theme changes, the age changes. A 10-year-old website about horses, when the horses theme switches to diet tips, becomes a 0 month old website about diet tips. When the theme changes, the age associated with the page is negated. 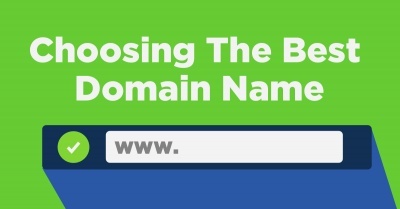 Therefore, if you want to take advantage of an aged domain to build your new website, you must make certain that the domain is of the same theme. Majestic.com has built a similar type of topical relevance in their trust flow. 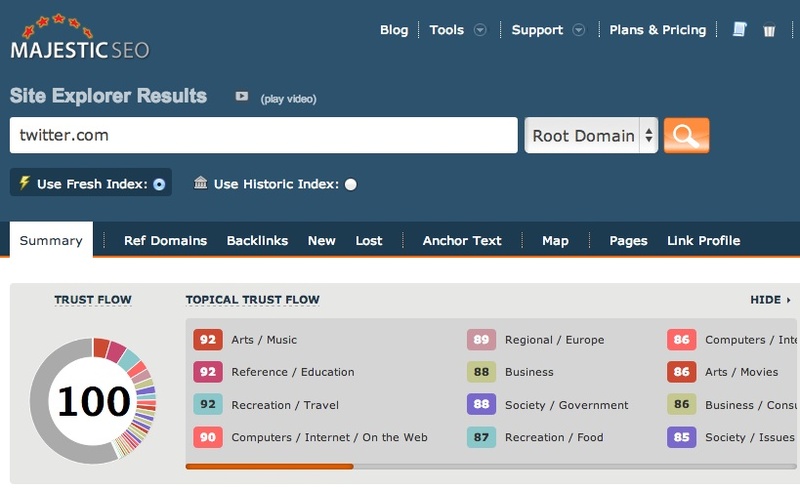 While a site may carry a certain level of link juice and power, that trust flow is only pertinent based on the theme of its content. Certainly if Majestic is able to distinguish the topical relevancy of a website, Google can as well. It only makes sense that the credit Google gives to content being aged, comes from that content remaining consistent over time. A website that used to be about horses, switching to diet tips, should lose the credibility that comes from age, as it has become something new. Cutts also references a website’s historical data being stale. I think he is talking about extended periods of time, where a website used to have information, then it stopped having that information (because it expired, or the information was taken down). I think he’s not talking about content that hasn’t changed, because certainly Google isn’t penalizing very old content that simply hasn’t changed — quite the opposite. What you could take from that is — if the site used to have content in 2005 but expired and hasn’t had data until today’s date, you’re not going to get as much of a benefit as if it had that data as little as a year ago. My final point would be about the implication that Google doesn’t use registrant information. I think that is disinformation. Google is a registrant. They have access to loads of data about registrant info. Think of how useful this data would be in making associations about who owns a website. If two sites link to each other, Google can know whether those sites are owned by the same person, simply by looking at the registrant data. Here we have, loads and loads of websites on the internet, where their claim to fame is getting registrant information indexed in Google. 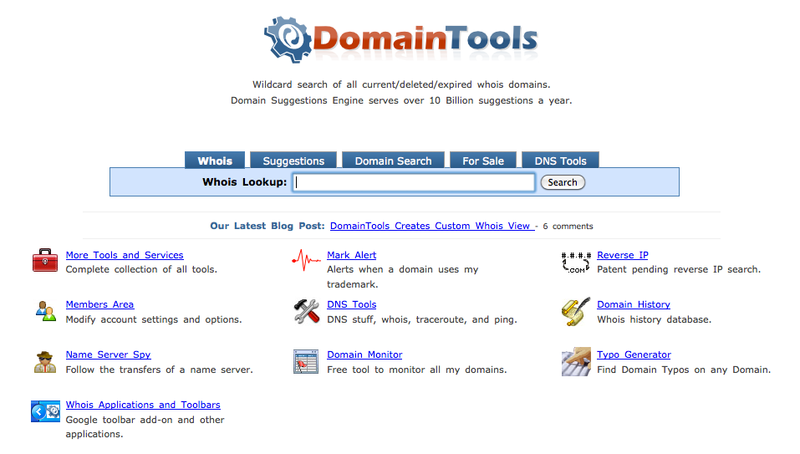 Somehow, domaintools.com has access to all this information, but Google doesn’t? And Google is a registrant! I don’t believe it. However, I think it’s true that the date that Google first sees the content is the date that a site’s age begins, and not based on the registrant information. What can you take from all this? It makes sense to build a website on a domain, of the same niche, if that domain historically had information on it that is relevant to the niche of the site you’re building. Age is determined by when Google saw the content, and not when you first registered the domain.